Today i will write a review about The Skin Food Royal Honey hydro cream. I bought this cream via online at intenshop. I bought the miniature size. Last month, i suffer because my skin become very dry.. I don't use new skincare or cosmetic but suddenly my skin around chin, mouth and nose area become very dry and i started to break out argghh. I suspect my TBS Vitamin C Facial Cleansing Polish as the main reason why I started break out. Usually I used this cleanser once/twice a week. But last week, I ran out my TBS Tea Tree Skin Clearing Facial Wash, so I used this as my daily cleanser and I started to break out :( After cleansing, I usually use my TBS Tea tree skin clearing lotion as my daily moisturizer, but then i realized that it made my skin more dry :(. Because of that, i try to use this cream. 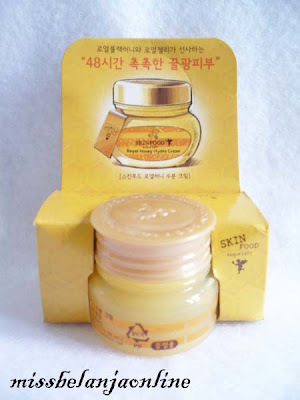 This cream contains honey which is really good as a moisturizer. [Royal Black Honey Story] Royal Black Honey is natural raw black honey from South Asian forests, one of the UNESCO World Heritage sites. Royal Black Honey enriches with a myriad of nutrients that are amazingly good for the skin. 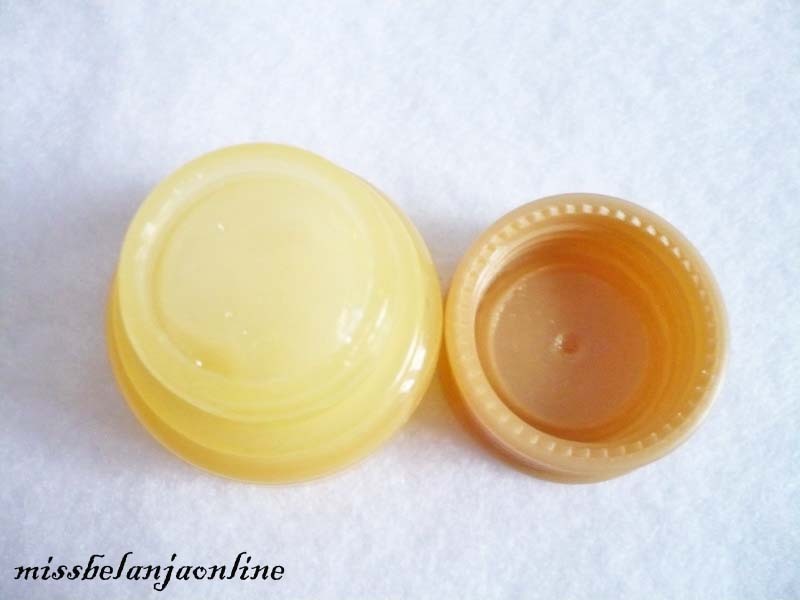 After essence or emulsion application, dispense a few pumps and smooth over the entire face. I used this for 2 weeks, twice a day (morning and evening) and I love the result. 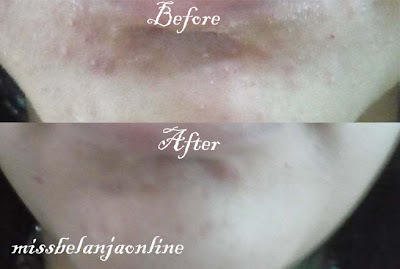 My skin become more smooth and not dry anymore. See my before after photo. This is my skin condition after 2 weeks. It is not 100% back to my original healthy skin but it is really a good improvement right? Good as a moisturizer, suit for those who have dry skin. The texture is gel, so i only need a little to cover my face. hi, bagus ya keliatannya krimnya. Ini share aja sih tapi kalo aku lagi break out biasanya aku kasih minyak tawon hehehe.. dan biasanya jerawat2 kecil dan besar jadi kempes :).. I should probably try and purchased one. My skins tend to have a break out too. Is it working for an oily face type? 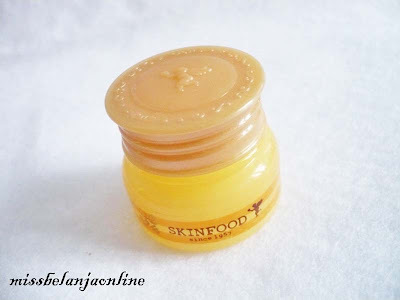 Hi dear, i don't reccomend this for oily skin.. I only use this cream when my skin become very dry..
Love Royal honey. One of the best things for the skin. Great product, very good post! wow that looks and sounds amazing!! this cream is really tempting. sista,, ini belinya satuan gini apa sepaket ama gift set nya ya?